I’m a cereal fanatic, and the funny thing is that I don’t even eat cereal in the morning. Usually I’ll pour myself a bowl of cereal for lunch or dinner or even dessert – yup, that’s me the epitome of health, lol! 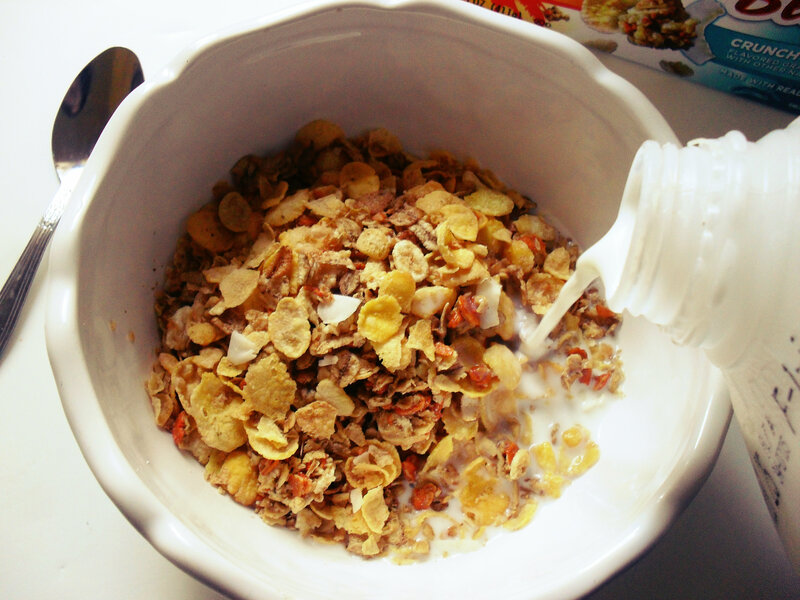 Recently, I had the chance to try Honey Bunches of Oats new cereal, Tropical Blend! 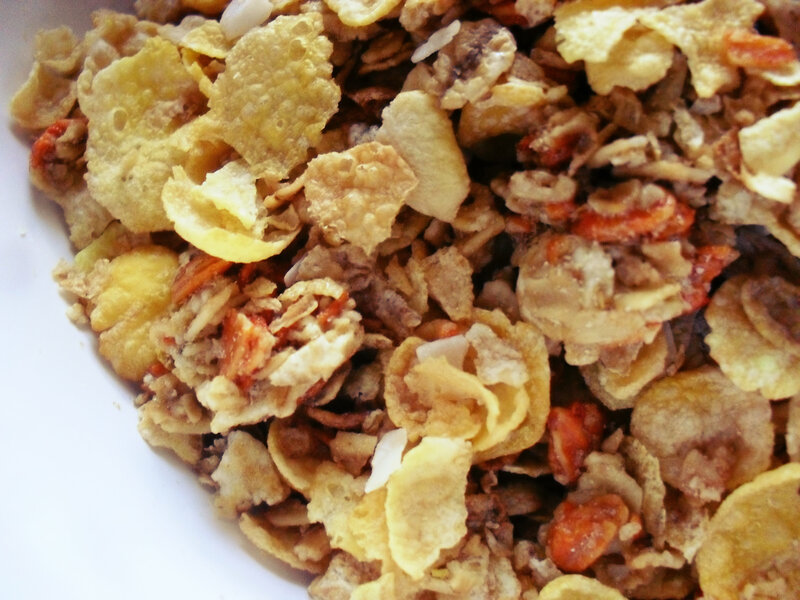 Tropical Blend has actual crispy mango flakes and coconut shavings inside the cereal – how cool is that?! Each serving has 10g of Whole Grain, 120 Calories, 9 Essential Vitamins and Minerals – including 60% Daily Value of Iron, and 4 Wholesome Grains. Now all that sounds really good for you and all that, but for me the appeal is in the flavor of the cereal – and Honey Bunches of Oats Tropical Blend is what I call a “dessert cereal”. It has a sweet almost floral flavor that reminds me of a mango smoothie I had years ago, and the crunchiness of the flakes really kicks things up a notch. Looks good huh? You can actually see the mango bits and coconut shavings so your know this isn’t some artificial flavoring baloney. 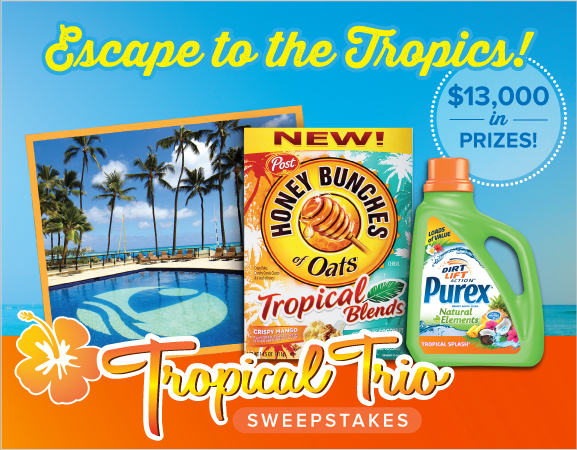 So now here’s the super fun part, not only is The NYC Talon giving away THREE coupons for a FREE box of Honey Bunches of Oats Tropical Blend – but Purex, Honey Bunches of Oats, and Outrigger Hotels and Resorts have teamed up to launch a massive giveaway that you also can enter right now! A Grand Prize Winner will win a four night stay at Outrigger Waikiki on the Beach for two people, five 1st place prize winners will score a year’s supply of Purex Natural Elements Tropical Splash Detergent & Honey Bunches of Oats Tropical Blends, and last but certainly not least – 100 2nd place winners will score coupons for free Purex Natural Elements Tropical Splash Detergent & Honey Bunches of Oats Tropical Blends cereal! How cool is that!? You can enter right now by clicking HERE! * These are all completely optional but very much appreciated! 4. Leave a comment on the Honey Bunches of Oats Facebook page letting them know Krista from The NYC Talon sent you! 7. Retweet this message to help get the word out about the Tropical Trio Sweepstakes! 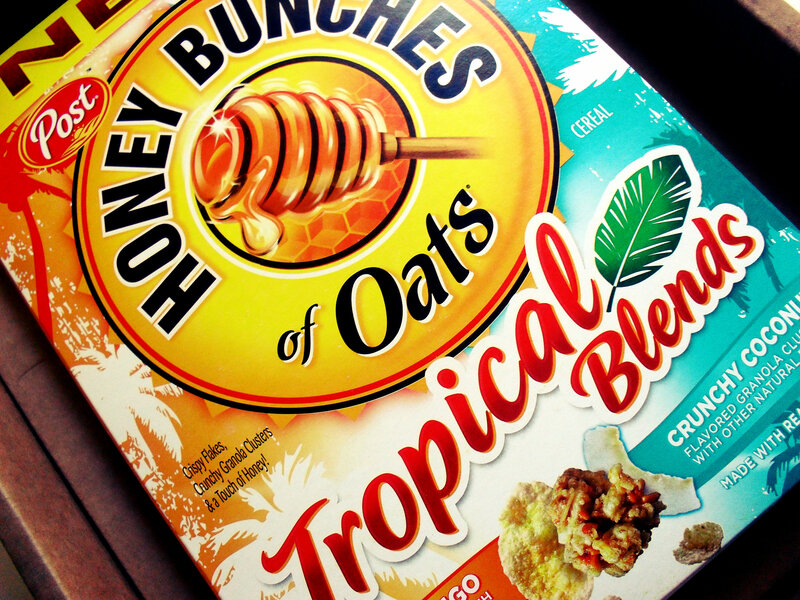 *Post provided a free sample of their Honey Bunches of Oats Tropical Blends for this post. My participation is voluntary and my opinions, as always, are my own. Previous Post Purex Crystals for Baby Review and a FLASH Giveaway! I like Honey Bunches of Oats on Facebook and the NYC Talon! I entered the Tropical Trio Sweepstakes. Thanks! I like Honey Bunches of Oats on FB! I like NYC Talon on FB! I follow HoneyBunchesOfOats on twitter! Entered the Tropical Trio Sweepstakes. I Like Honey Bunches of Oats on Facebook! Entered the Tropical Trio Sweepstakes! I Follow Honey Bunches of Oats on Twitter. I like Honey Bunches of Oats on Facebook. I left a comment on Honey Bunches of Oats Facebook page letting them know Krista from The NYC Talon sent me. I like NYCtalon on fb. I like Honey Bunches of Oats on FB. I entered the Tropical Trio Sweepstakes.